What Is Outdoor Fun Club? What's the real secret to a good stay in Stowe? Outdoor fun, simplified for those of us who could use some simplicity. Sign up for the Boston edition of Outdoor Fun Club and receive expert outdoor advice in your inbox every week. 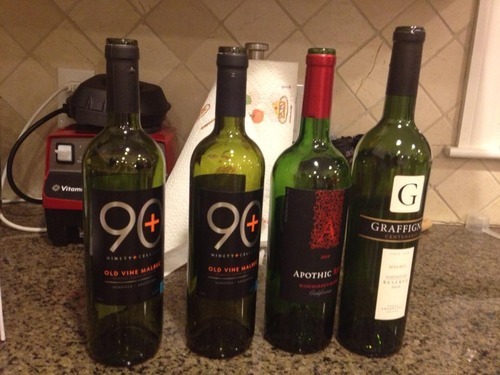 Be ready for the weekend. Subscribe to the Boston edition of Outdoor Fun Club and receive expert outdoor advice in your inbox every week. Be ready for the weekend. We deployed our new sites about two weeks ago to do some initial field testing. Then, this past Friday, started communicating their availability to out existing subscribers and to our friends on Facebook. And there was much celebration. 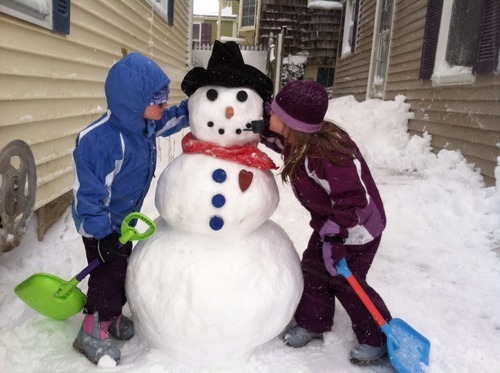 Chris celebrated by heading outside with his daughters and building a snowman. I gotta say, that just may be the most perfect snowman I’ve ever seen. I’m willing to bet he’s compiled a snowman decoration kit for times like this, and, if so, he should write about that in time for next winter. Then Saturday came and the day after the storm brought 45 degrees and clear, sunny skis. 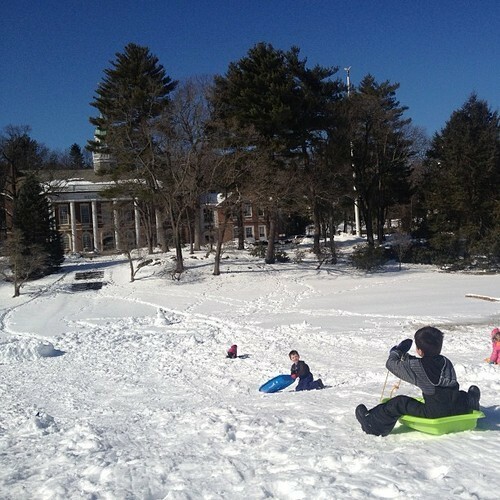 A perfect day for spring sledding. Last thought. Chris and I have been so heads down in getting the first version of boston.outdoorfunclub.com out there that we didn’t realize that we were starting to share it with people on the same weekend of SXSW Interactive. Which means there’s about 13,684 other products and services being unleashed this weekend and they’re all trying to grab your digital attention span. And no, we’re not in Austin for SXSW. We’d rather be here, getting the next issue ready to share with you. Last week was significant one for Outdoor Fun Club. We updated our homepage and unveiled our Boston content archives at boston.outdoorfunclub.com. The Boston site represents the first of many regional sites we plan to roll out in the future. Each site will be rich with actionable outdoor inspiration to encourage and facilitate experiencing the great outdoors while making lifetime memories. For the past year, we’ve been writing articles and publishing a weekly email newsletter for people in the Greater Boston area. We’ve covered a number of hikes, including hikes you can even try at night! We published a memory making plan for a day of bicycling on Plum Island. Last summer, there was the first hand account of trying to find a secret beach on Cape Cod. We’ve also explored some weekend outings to Cape Ann, The Berkshires, and Stowe. 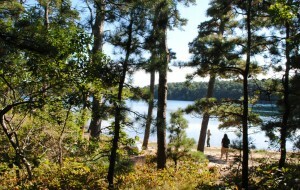 All of those articles and much more are now available at boston.outdoorfunclub.com. We’ve worked hard to provide a content experience that can be consumed equally on your desktop, tablet, and smartphone browsers. We’re the first to say that it’s far from perfect. We’ve got lots of ideas and plans for improving your experience and interaction with our content. We also understand that there is much work for us to do to achieve our mission of helping you get outdoors to make memories with your friends and family. These are the nascent days of Outdoor Fun Club. We’re just getting started. 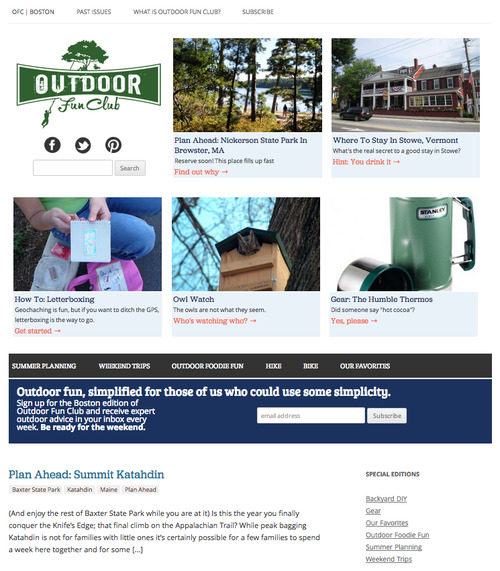 We’re in the process of launching the Boston web edition of Outdoor Fun Club. Should be any day now. Just need to dot some I’s and cross some T’s. Our weekly email will resume publishing not too long after that. Those of you who have been with us since the beginning (coming up on a year), thanks for sticking with us.